To me, travelling inevitably means one thing: good eats I can’t find at home. I almost always fall for hype so you might find me patiently waiting in the longest line with my camera and empty stomach. Or you might find me in that undiscovered little gem, tucked inside a questionable neighbourhood, a fork (or chopsticks!) in hand and smile on my face. Regardless of which city I’m in, you’ll always find me chasing deliciousness. Sometimes it’s nice not to have to make decisions. 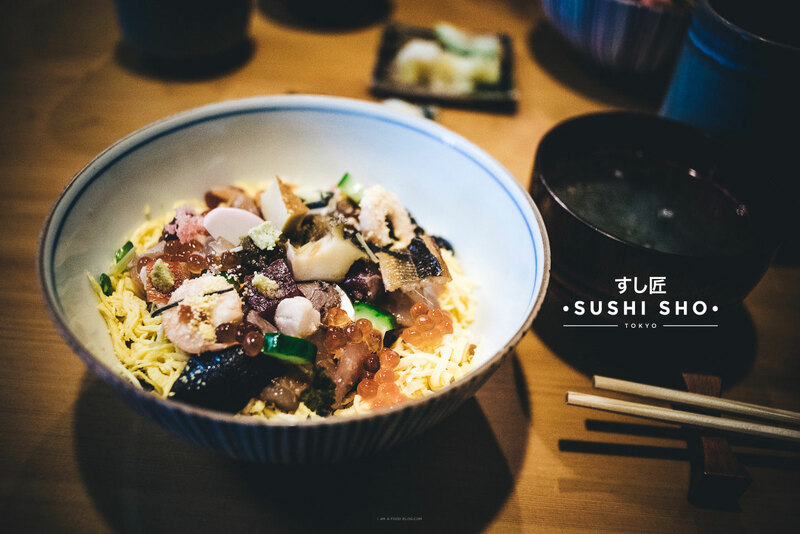 If you are staying in one of the hotels in Shinjuku, you might decide to eat at Sushi Sho. If you go to Sushi Sho for lunch, then all of your decisions have already been made. All you need to do is sit down with a smile and you’ll be taken care of. 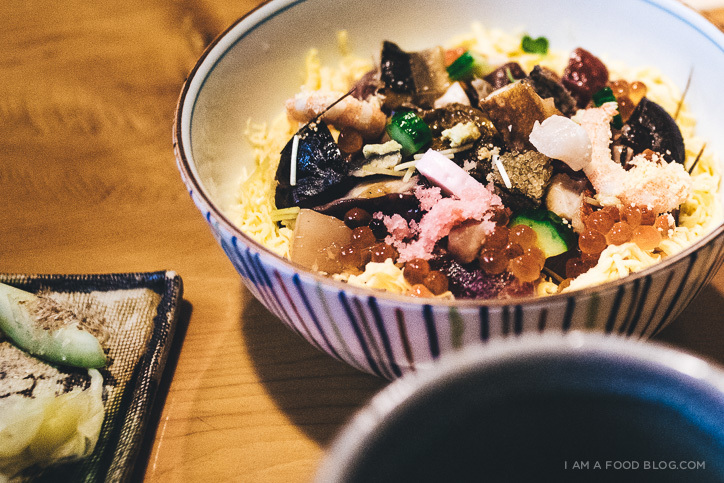 There’s only one thing on the lunch menu: bara chirashi. 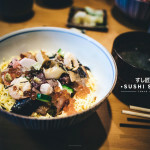 Like regular chirashi, the bowl is essentially “scattered” fish on rice, but instead of uniform slices of fish, you get tiny bite sized pieces of seafood, vegetables, and fluffy omelette strips. Lunch is also served with tsukemono (pickles) and asari miso shiru (white miso clam soup). For 2000 yen, it’s a steal, especially considering the fact that Sushi Sho is one of Tokyo’s highly regarded sushi-ya. Lunch service starts promptly at 11:30, but if you’re anything like me, you’ll show up an hour early expecting a line. There was no line to be found and I felt a little silly standing around in the streets so Mike and I took a little stroll up Shinjuku Dori and peeked inside a convenience store. Half an hour later, with multiple packs of Japanese treats loaded into my bag, I insisted that we head back, thinking that surely there would be a line started…of course there was no line. We continued our walk and then somewhat promptly at 11:35-ish we headed back. There was a sign out front declaring “bara chirashi” so I slid open the door and stepped in. There are only two seatings at lunch and only ten seats in the whole restaurant, so if you want in on of the daily 20 bowls of chirashi, I recommend you go right at 11:30 or a bit earlier. We may have lucked out with the whole no line thing because I saw repeated numbers of hopefuls turned away at the door. I’ve got to say though, it was worth the self-imposed one hour wait! Head out of Exit 1 and head West and cross Sotobori Dori. Turn left and almost immediately you’ll see a a tiny side street. Turn right into the side street walk down. You’ll see Sushi Sho at the end of the street, a little to your left. The first photo in this set is the entrance. Darn, I was just in Tokyo and wish I’d known about this lunch special! Can I ask how you do your extended trips to Japan? 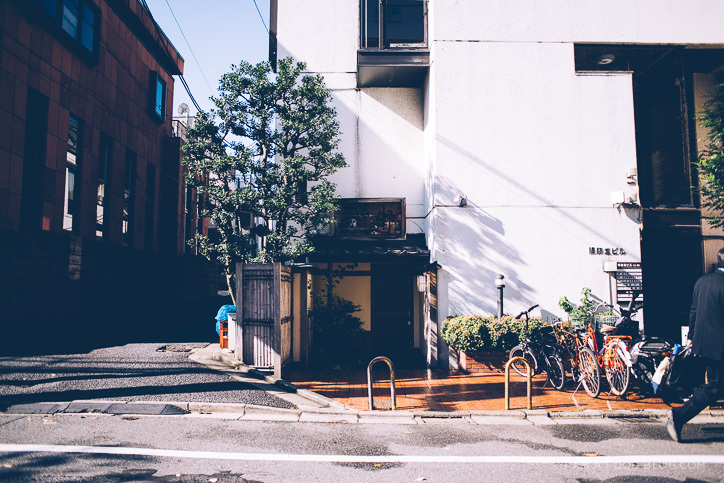 Do you stay with friends or family there, or do you rent a place? Do you speak Japanese? Aww, you are so cute, slurping away at your bowl! Looks like you’re having a blast, yay! Ahaha “self-imposed wait” = I love it!! This little nook sounds incredible. Totally bookmarking for if/when we ever make it to Japan! And I die at your photos – you’re too cute!!! heehee i hope you get a chance to go cynthia! 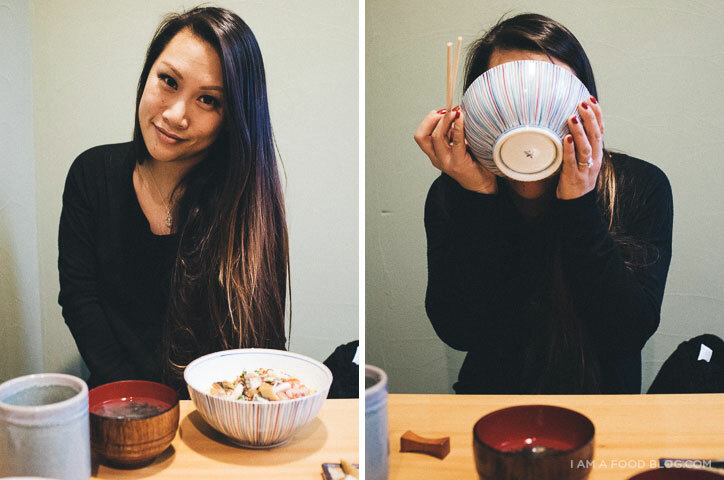 even just wandering around and going into random places will lead to awesome food! Sushi Sho now takes reservations, and you have a low chance of getting a seat if you just rock up and hope to get in -_-‘ Their number is 03-3351-6387, hopefully others reading this will have better luck than I did! This sounds delicious, but why is there only one thing on the menu? It sounds like a very exclusive place to eat! 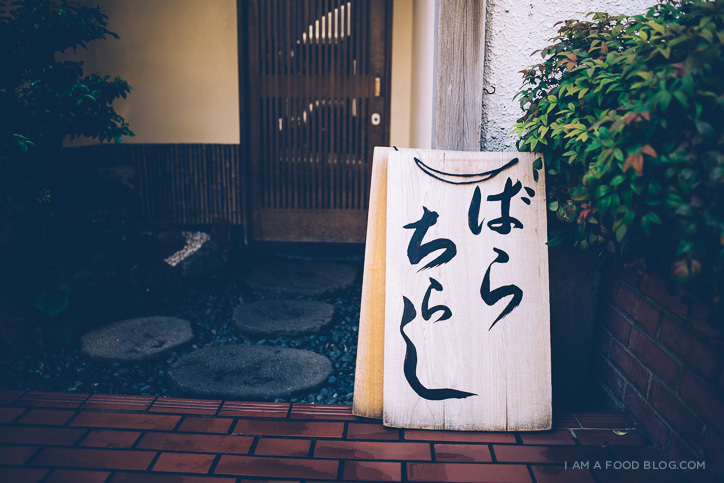 Do you have to be able to speak Japanese to communicate in this restaurant or do most of the staff members speak English, as it seems like it would be a very popular tourist spot. there’s only one dish for lunch, but dinner is a regular sushi menu. i’m not sure if the staff speak much english! Thanks so much for the review. Would never have found the entrance if it weren’t for your pictures. I was able to get the last seat today and the chirashi was great. 2000💴, cash only (luckily, exactly the amount I had in my wallet). did you have to make a reservation for lunch? or just show up? you can just show up but there might be a line, it’s best to go a bit early.